First impressions: This nappy is gorgeous! The one sent to me had the cutest Fifi Lapin rabbit outer, with a very soft charcoal Bamboo Fibre Micro-Polar Fleece. This nappy is from their Babyland range. 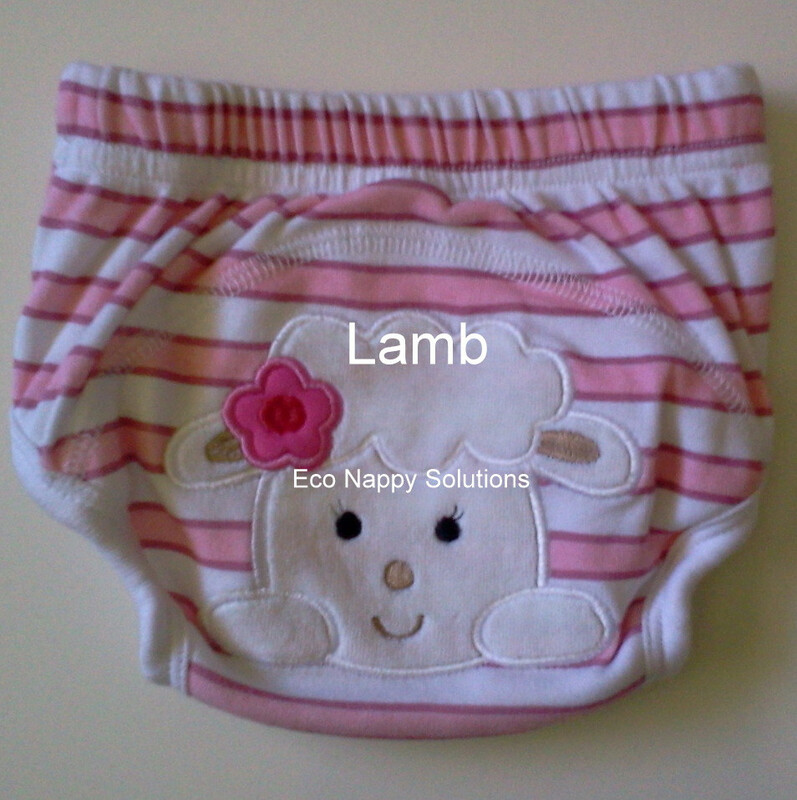 The nappy is a one size pocket diaper, meaning that it consists of two parts – the pocket and the insert. I was sent a sample of both inserts available in this range. Both are 5 layers bamboo material. The outer material is either Bamboo cotton in white or Bamboo Fibre Micro-Polar Fleece in Charcoal, and 3 layers of micro-fibre in the middle. According to the website, the white inserts are made from bamboo cotton material. It is bleached and a bit softer. Some mothers like this so that they can monitor the colour of their baby’s urine. The grey inserts are made from bamboo charcoal material, are in their original colour, so it hasn’t been bleached and is slightly more absorbent, but also a little bulkier than the white insert. At first the inserts felt quite bulky, but once in the pocket, they give quite a slim fit. Performance: I always double stuff my pocket diapers so I used both inserts at the same time. The nappy fitted well, was snug but not tight around the legs and we experienced no leaks. 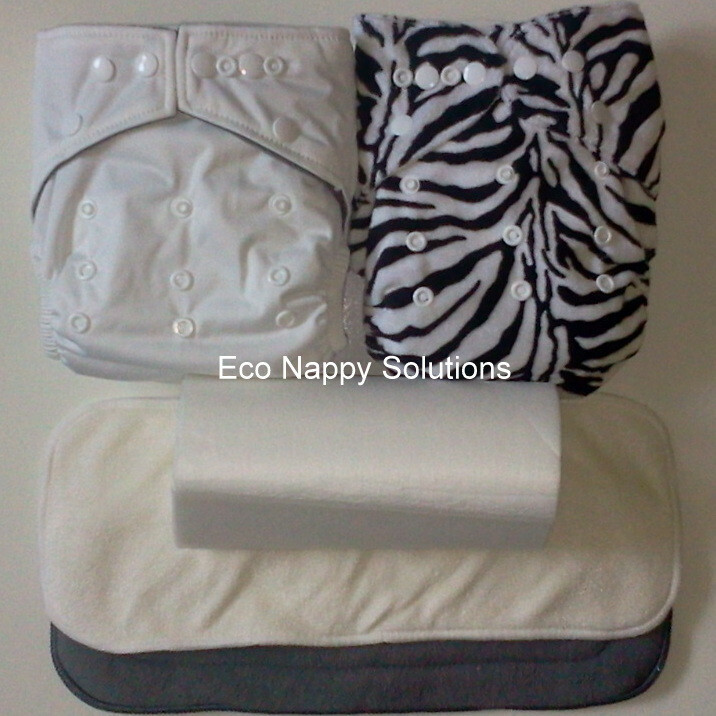 The micro-polar fleece kept my baby really dry even when the nappy was plainly wet. The nappies fasten with snaps, not Velcro, but there are more than enough snaps in the right places for you to achieve a good fit no matter how big or small your child is. The website offers a variety of packages which are really affordable and the nappies come in so many lovely colours and patterns. They also sell minky outer nappies. I was also sent the cutest pair of training pants. They offer more absorbency than normal underwear, but like underwear, they must be changed as soon as they are soiled or wet. The waterproof lining does not cover the whole area. These pants can be used as a swimming nappy. We are not quite at the potty training stage yet but I will keep you posted. I was intrigued to see that they also stock pull up nappies which are more absorbent than the training pants, have snaps to adjust the rise and act like a normal nappy in that it is fully waterproof and doesn’t need to be changed immediately. I haven’t seen a similar product and I hope to bring you more details about it!